Born 1885, he was assistant at Chester 1900-06 and pro at Bromborough, West Surrey, Cooden Beach and Addington Palace between 1906 and the start of the Second World War. 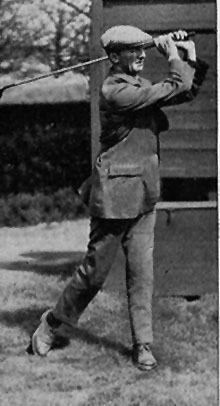 He was runner-up in the Open Championship of 1927 and represented Great Britain against the USA in 1926, 1927, 1929 and 1931. Bernard Darwin described him, in his defeat at the hands of J H Taylor, in the final of the 1908 News of the World Matchplay championship (in which, he was at one point, three up on Taylor over his own course) as 'the almost unknown young man with the red head from Bromborough, who hit the ball vast distances, not always perhaps rigidly straight'.